Better times ahead for the renewable energy sector? “Energy drives sustainable economic development and growth, and should take its place at the centre of a growing economy as directed by the National Development Plan 2030,” said the new Minister of Energy, the Honourable Jeff Radebe, during the long-awaited signing of 27 renewable energy projects by independent power producers in April 2018, which is bringing in R56 billion of investment to create an additional 2,3GW of power generation capacity. The IRP is essentially a national electricity plan, setting the long-term investment schedule for electricity-generating technologies. At present, investment decisions are based on the 2010 version of the IRP, which assumes a far higher demand and materially different technology costs than is currently the case and which has not been updated, despite two separate attempts to do so in 2013 and 2016. The energy ministry has seen a number of ministers come and go over the last few years, causing policy uncertainty and fuelling concerns over nuclear energy. It is hoped that with the updated IRP, confidence in the electricity sector and investment in electricity generation technologies will be restored. According to their analysis, the least-cost scenario, which creates more jobs and has less of an environmental impact, places much more emphasis on renewables (60% from wind and solar) with no increase in nuclear energy. The two-year delay in signing power purchase agreements for the previous round of preferred bidders in the renewable energy independent power producers (REIPP) programme is now behind us. If we look at the different bid windows in the REIPP programme, we can see a dramatic decrease in the price paid for solar and wind technologies, to the point where they are 40% cheaper than new baseload coal today. From a demand-side management policy perspective, the draft National Energy Efficiency Strategy (NEES) was published for comment in 2015 and sets targets for energy reduction in various sectors. It is hoped that this legislation will also be promulgated soon. The draft strategy sets a 29% energy reduction for the economy by 2030, from a 2015 baseline. The section 12L tax incentive for implementing energy efficiency projects, whereby a tax rebate is provided at 91 cents per kWh saved, has been running for three years now and has been fairly successful with large businesses to help subsidise the costs of implementation. The current programme ends in 2020 so an update should be published soon for public comment. 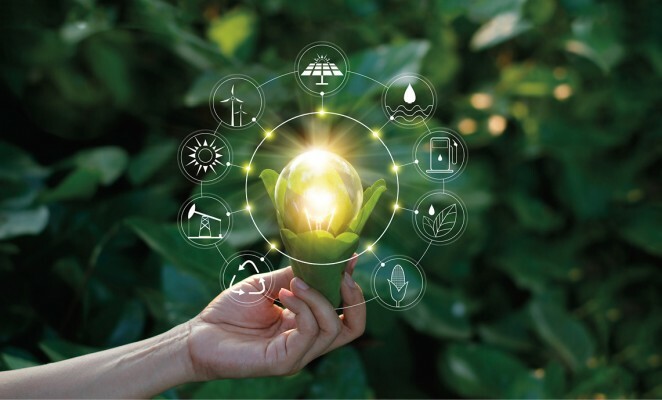 The National Cleaner Production Centre (NCPC) provides extensive training on energy management systems in order for companies to implement the ISO 50001 standard on energy management. There are also a number of national energy efficiency programmes under development using external funders, which will help to enable the achievement of the NEES targets. 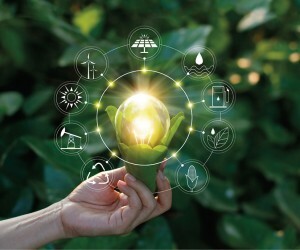 Building on the Private Sector Energy Efficiency Programme (PSEE), which ran from 2013 to 2015, the Department of Energy, together with a number of other stakeholders, is planning a public sector programme to implement energy efficiency projects in municipalities as well as government-owned buildings. This initiative will identify projects and then fund the implementation through various models. Globally, there are two primary policy instruments being used since at least the last decade to try to drive down carbon emissions; namely a carbon tax and an emissions trading scheme. Countries like the UK, Netherlands and Finland have put a carbon tax in place whilst others like China, states in the USA and the European Union have been using an emissions trading scheme. The end goal for these policy instruments is to reduce absolute carbon emissions per country, in line with their nationally determined contributions (NDC) submitted to the United Nations Framework Convention on Climate Change (UNFCCC). In South Africa, the government has decided upon a carbon tax as well as a carbon budget approach per sector, and our NDC states that our carbon emissions will, by 2025 and 2030, be in a range between 398 and 614 Mt CO2–eq. The National Treasury published an updated draft carbon tax bill in December 2017 for public comment. This bill has been delayed many times over the years, the current indication is that it will be passed later this year and come into effect from 1 January 2019. The tax will be phased in over a period of time to allow for a smooth transition when adopting cleaner and more efficient technologies and behaviours. The first phase will run from implementation up to 2022. The initial marginal carbon tax rate will be R120 per tonne of CO2e (carbon dioxide equivalent), which will increase at CPI + 2% for the first phase. Taking into account the thresholds mentioned below, the effective tax rate is much lower and ranges between R6 and R48 per tonne. And, finally, an additional 5% tax-free allowance for companies participating in phase 1 of the carbon budgeting system. The combined effect of all of the above tax-free thresholds will be capped at 95%. Due to the complexity of the emissions measurement in the waste and land use sectors, 100% thresholds have been set i.e. these sectors are excluded from the tax base for phase 1. The tax base comprises emissions from fossil fuel combustion, emissions from industrial processes, product use and fugitive emissions. The greenhouse gases covered include carbon dioxide, methane, nitrous oxide, perfluorocarbons, hydrofluorocarbons and sulphur hexafluoride. A carbon tax on liquid fuels (petrol and diesel) will be imposed at the source, as an addition to the current fuel taxes. For taxation on stationary emissions, reporting thresholds will be determined by source category as stipulated in the National Environmental Air Quality Act. Only entities with a thermal capacity of around 10MW will be subject to the tax in the first phase. This threshold is in line with the recent DEA GHG emissions reporting regulation requirements and the proposed Department of Energy’s energy management plan reporting. The carbon tax will be administered by the South African Revenue Service (SARS). Recent legislation to enable the carbon tax is the mandatory reporting on greenhouse gas emissions for companies. These policies will increase the regulatory reporting as well as the financial burden put on large companies, thereby forcing more attention on energy efficiency and energy management going forward. According to a recent report, the global EV market reached the 1.2-million sales mark for the first time, with more than 165 models available for sale. China is leading the market with a 48% market share followed by Europe with 26%. Solid-state batteries are likely to be the ‘game changer’ for future battery chemistries, as they render a 2.5 times higher density than lithium-ion. In the last six months, more than 10 automakers have announced future EV launch plans. Based on these announcements, EVs now have a market potential of about 25 million units that will be sold by 2025 (to give an indication, 70 million cars were sold globally in 2016). Vehicle manufacturers are certainly taking electric vehicles seriously. Hybrid and fuel-cell vehicles are also in development; this will impact the growth of internal combustion engines using petrol and diesel. In South Africa, the EV trend is still very much in its infancy, with probably less than 1 000 EVs sold. This trend, however, cannot be ignored and the impact needs to be fully understood. One of our current top five exports is vehicles; therefore, a significant amount of effort may be required in future to incentivise the production of EVs. Infrastructure such as charging stations across the country is costly but necessary if we want the widespread use of EVs. Furthermore, subsidies or other mechanisms would be required to lower the costs of EVs to make them affordable. Over time, like with renewables, it is envisaged that battery technologies will become cheaper and EVs can compete with internal combustion engines. Taking environmental considerations and technology trends into account in the strategy of the business, and not seeing them as a mere reporting function.